Mama Grizzly warned us this would happen. Under Obamacare, the sick and weak and old would stand before death panels of bureaucrats to be granted life or death. Former Alaska Gov. Sarah Palin was laughed out of town for making four years ago what we now know is a prescient prediction. Perhaps she is one of the few who actually read the health care bill before it passed. “And who will suffer the most when they ration care? The sick, the elderly, and the disabled, of course,” she wrote on her Facebook page in 2009. President Obama and his blind supporters who were busy not reading the bill howled in protest, calling Mrs. Palin an irresponsible liar unworthy of the public political stage. Now comes cancer survivor Edie Littlefield Sundby. The ravages of Obamacare have not even set in yet and already she has been given what quite possibly will amount to a death sentence. Now, for most people, knowing that a law you had engineered, rammed through Congress and crammed down the gagging throats of Americans everywhere had just destroyed the strategy meticulously laid out by doctors to keep a cancer patient alive long past her natural death date might cause a twinge of guilt. Some of us might fall to our knees and beg for merciful forgiveness from God. Might even be convinced that as well-intended as we were, we turned out to be completely wrong. Indeed, a massive panel of bureaucrats cannot take over one-sixth of the nation’s economy and properly dispense medical care. But admitting error or feeling guilt would require you to have an actual soul and be capable of shame or self-analysis. Such small weaknesses do not hinder the folks in this White House. Dan Pfeiffer, who apparently has no soul, does have a Twitter account. He used it to dismiss Mrs. Sundby’s concerns about Obamacare and instead blamed the cancellation of her policy on her longtime insurance company — a company that has shelled out $1.2 million to keep Mrs. Sundby alive. We are looking forward to kicking off our “Good Tidings and Great Joy” book tour in “Christmas City, USA” – Bethlehem, PA – this coming Tuesday, November 12. This beautiful town was founded by Christian missionaries on Christmas Eve in 1741. Their famous Christmas Star, first lit during the Great Depression, still burns bright year round in this American town which embraces the spirit of Christmas not only on December 25, but all year. And let us not forget the importance of this region to our independence. It was not far from here on the banks of the Delaware River that General George Washington led his troops to an important victory crossing the river on December 26, 1776. We look forward to visiting this beautiful town and hope to see you there. some time with Puppy Jake himself (see photo from the 2011 Iowa State Fair with trainer Becky Beach and her dog), I can attest to the warmth, companionship, and smiles these dogs bring. The Foundation’s mission explains that the hard efforts to train these beautiful service dogs pale in comparison to the cost paid by members of our U.S. Armed Services who’ve given enormously for our freedom. Please visit their website to find out more about our vets’ needs and what great groups like the Puppy Jake Foundation are doing to help! My son just sent the link below to me because he and his friends so sincerely appreciate businesses that recognize our vets! I hope this encourages other businesses to honor our vets on Monday (& everyday) like these restaurants are doing on Veteran’s Day. Here is an excerpt from the page that she linked to. 2013 Veterans Day free meals, discounts, deals and sales. As Veterans Day approaches we will continually update this list as restaurant’s and companies announce their Veteran’s Day specials. Typically most announce a week or days below. Veteran’s Day is officially Monday, November 11, 2013 and since it falls on a Monday this year it is the observation day as well. 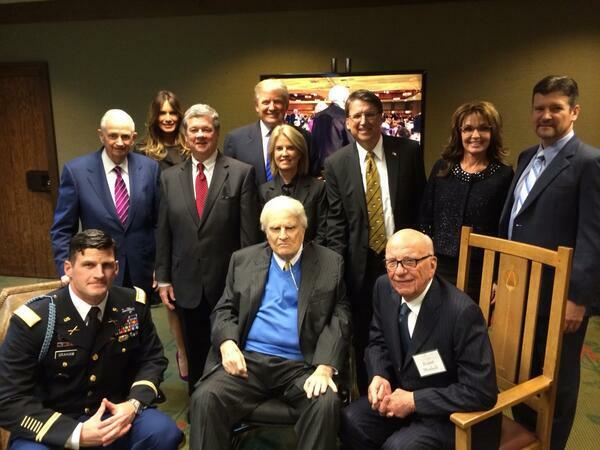 Governor Palin posted the photo above and the comment below on her Facebook page last night after she and Todd attended Reverend Billy Graham’s 95th birthday celebration in North Carolina. What an inspiring night of celebration for a man who has given so much to so many! Be sure to tune into FOX News tonight at 10pm ET to witness a presentation of the most important news any of us will ever hear. 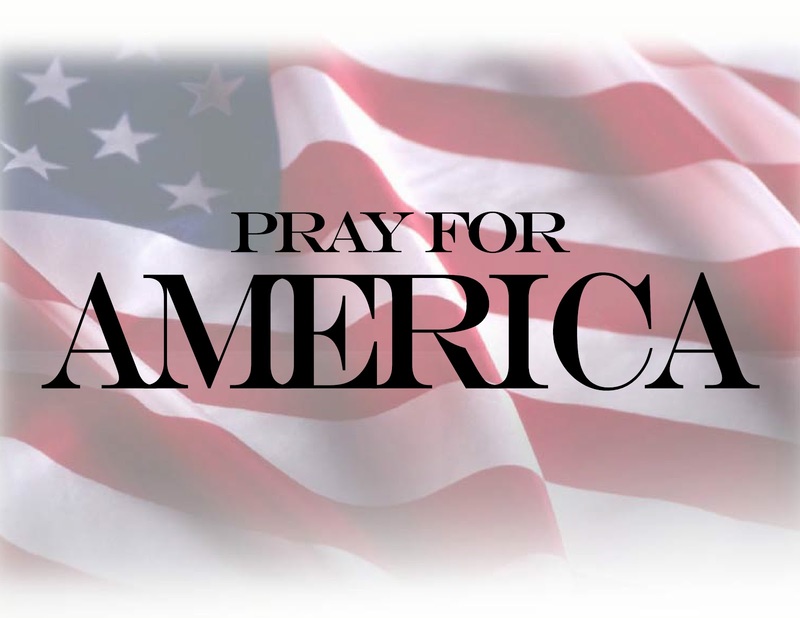 It’s “My Hope America” with Billy Graham. It’s the positive reminder that the answers our world needs are at the foot of the cross. Happy Birthday, Reverend Billy Graham. A schedule for additional viewings through November 10 of “The Cross” from “My Hope America” can be found here. A video of the entire presentation can now be found here and here. Video retrieved from Billy Graham Evangelistic Association. Dylan Byers at Politico reported that Governor Palin and Todd sat at Reverend Graham’s table during his birthday celebration. 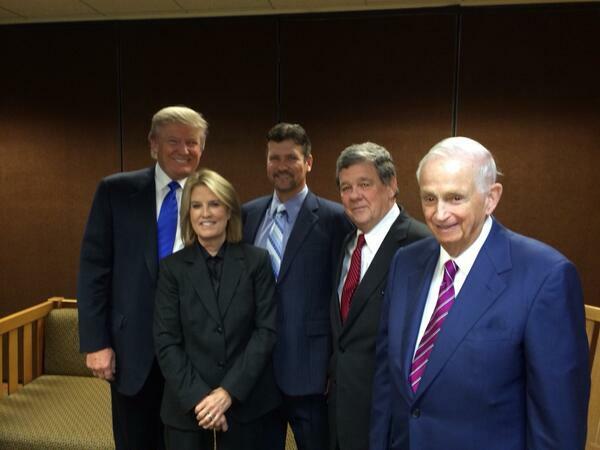 Sitting at the Reverend’s table, according to a reliable source: Rupert Murdoch; Donald Trump; J. W. “Bill” Marriott, Jr.; Sarah and Todd Palin; and Greta Van Susteren and her husband, John P. Coale. 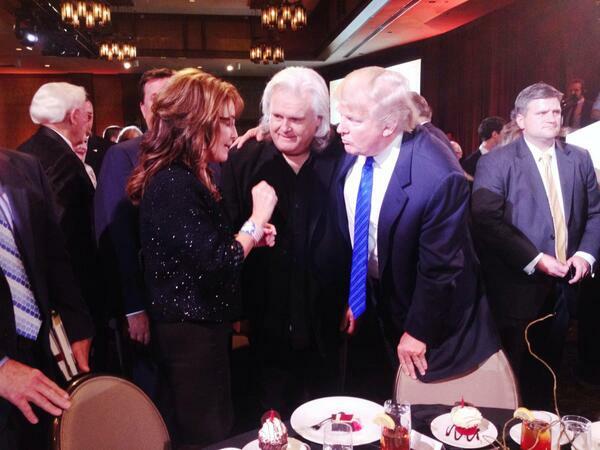 Ricky Skaggs, the country and bluegrass singer, will sing “Happy Birthday” to the evangelist. The Asheville Citizen-Times liveblogged the event and posted photos. (h/tp Michael Sheppard). 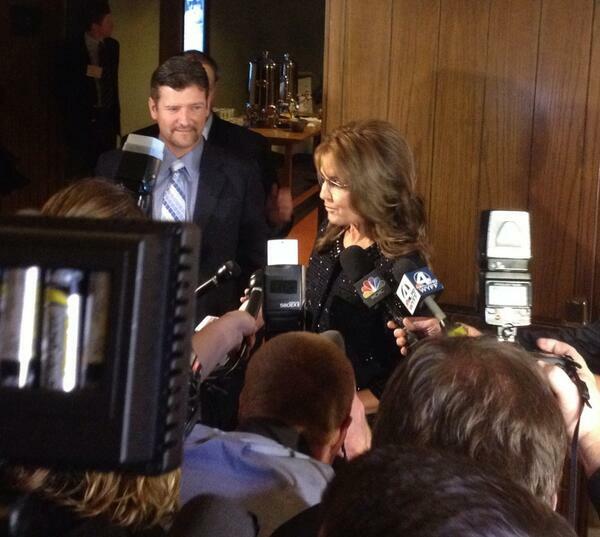 During the event, Governor Palin described her family’s personal experience with the Graham ministry. Her mother led the rest of the family to Christ. They were baptized together in a cold lake in Alaska – one that Rev. Franklin Graham flies over today when he goes to his remote Alaskan retreat. She said she wants the evangelist to live another 95 years. “We want to be able to call you Methuselah,” she said. 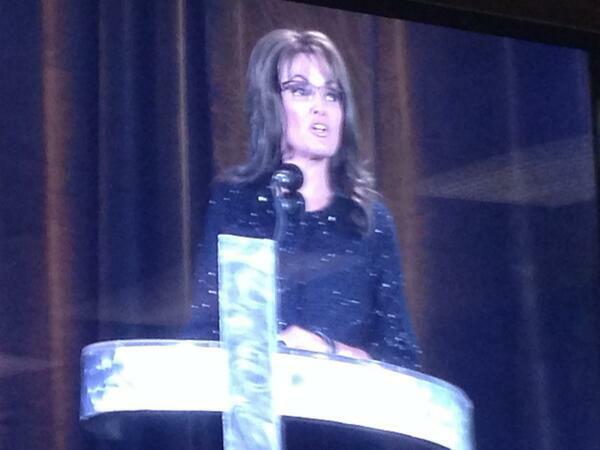 Here is a video of Governor Palin’s remarks. Michael Sheppard has an excellent compilation of photos from the event. Twitchy also posted some photos and tweets containing birthday wishes for Reverend Graham. A photogallery of guests, including the Palins, arriving at the event can be found here. Here is a brief description of the event by the Associated Press as posted at ABC News. Here are some of the photos from the event that have been posted on Twitter and elsewhere.